Most people who watch a horse race, watch it because they have placed a bet on the sport. For that reason, it is best to have a horse racing betting strategy in place that can improve your chances of winning. 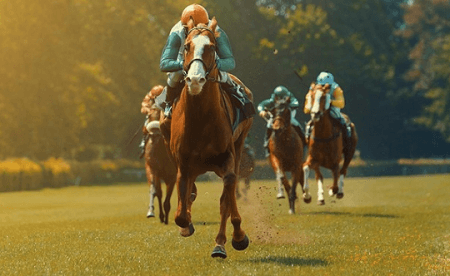 In our guide, we have listed the horse racing betting strategies that you can try out and see if they will work out for you. 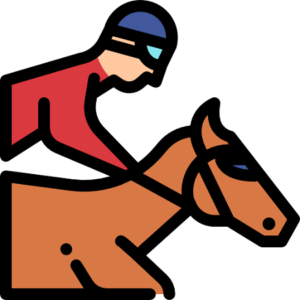 We have also included some of the tips that can help you better place your bets on horse racing. The strategies listed below don’t guarantee a win after you have placed your bet. So, don’t use them as a sure way of winning every time you bet. Rather use them to improve your chances of winning. This is one of the popular horse racing betting strategy. When using this strategy, you will place a bet on a number of horses for the same amount regardless of which horse wins. So, what it means is that if you are willing to wager $15 on two horses, you are betting, you will have to work out how much should go to each horse. This is when you choose to bet on a favourite to win the race. This is based on the gambling statistic that says the 1/3 favourites will end up winning the race. However, the favourite has the trading at 3/1 or lower. You should also know how handicapping works because you can be able to use this betting option to your benefit. This strategy is not only used for horse racing, but it can help you maximise your profits. However, you have to have experience and knowledge of using this strategy before for you to be able to spot the value bet. How this works, is that you will spot odds that bookmakers have made lower, but your research shows that the chances of winning are higher. Similar to the laying the preferred strategy, you have to be very knowledgeable at handicapping. Using this strategy allows you to bet on the highly hyped horse for a race but has been beaten. The horse will have better odds and will make using this strategy viable in the long term. Horses that are under-priced always have profits over time. There are two ways that horse racing odds can be explained. However, it may be different depending on where are betting from in the world. There are the fixed odds where the winning wager of the bet will be agreed on when the bet is being made, and it will not change. The other is the pari-mutuel where the total money used in the betting pool will affect the payout odds. This will happen once the house has taken its cut from the money pool. You can choose from these two options as a guide to make your bets. Making different bets can take your betting to the next level especially when you use them with a proper plan and strategy. You can also bet on multiple races and the more times you make a bet, the more chances there are for you to win. Always have a budget for your horse racing betting. This is very important because it makes you a responsible player who know how to manage your bankroll. If you don’t have enough bankroll, rather wait for when you have enough money to place a wager. This can be considered as one of the top priority horses racing betting strategy. Sign up with any of the sports betting sites that we have listed above to start using one of the horse racing betting strategy.